All aboard for a trip away. 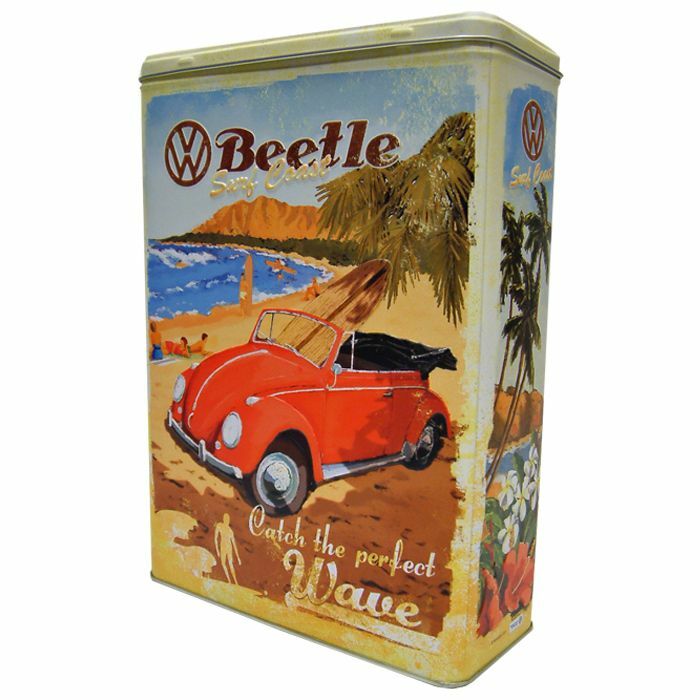 Great addition to your camper van..Store your Morning Cereal in this Retro VW Tin. Made of Sturdy Sheet Metal, with a protective lacquer coating. 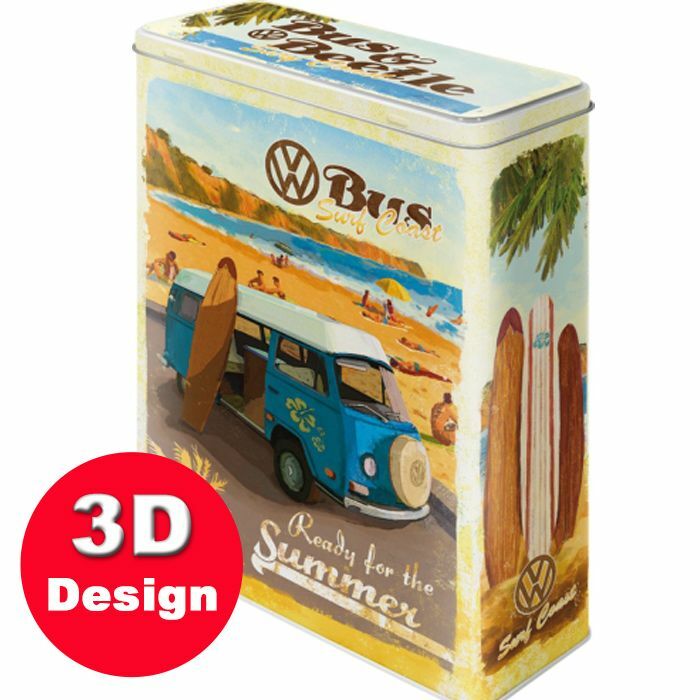 Holds about 500gm of product ( tested with a Standard sized box of Cornflakes !) . Key Text and Pictures on the Lid are in raised embossed metalwork. Size : 19cm long by 8cm depth by 26cm high. Morning breakfasts out on the road.. you can store your favourtite breakfast cereal in this gorgeous kitchen storage tin. In fact you can store many other things in this prcatical tin. 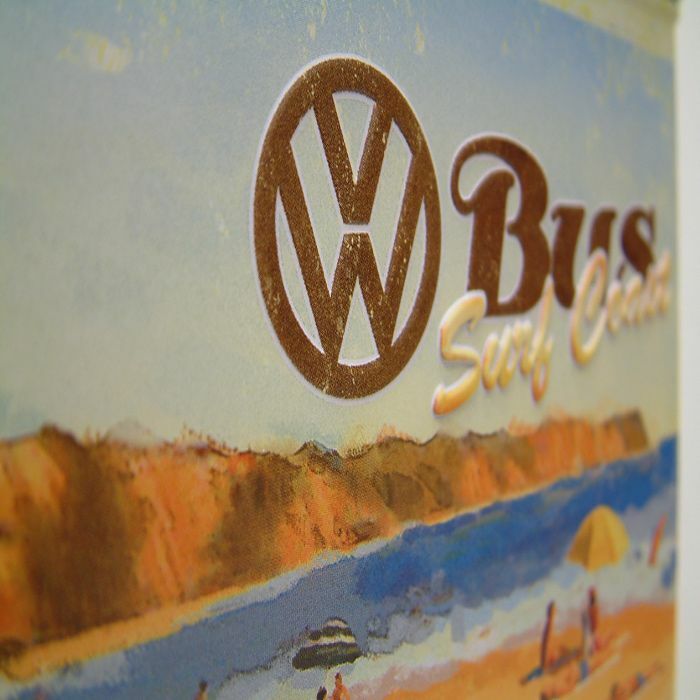 Two images of iconic VW vehicles feature, the VW Camper and the VW Beetle. Made of sheet metal and printed with this retro design. Key text and images are embossed giving this tin a great look and tactile feel.